Maria Wise is a native of Western North Carolina and a graduate of North Carolina State University with a B.S. in Biological Science. She has a Master’s degree in Sustainability Studies from Lenoir Rhyne University. Maria worked in biotech in Chicago and in water quality protection in Florida where she also worked to protect manatees and mangrove habitat. 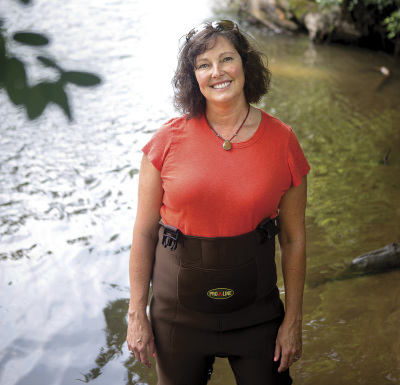 In recent years Maria helped protect farmland in Buncombe County with the Soil and Water Conservation District. There were over 1000 acres of farm and forest land protected with conservation easements under Maria’s guidance. She is passionate about working with farmers and landowners to enhance their properties whi le also protecting streams and rivers from erosion and run-off. In her spare time, she likes hiking and camping with her family and enjoying the local food scene of Western North Carolina. Garret found his calling in Conservation when attaining his degree in Political Science. Seeing how laws and legislation affected the environment and our natural resources is what sparked his passion on the subject. 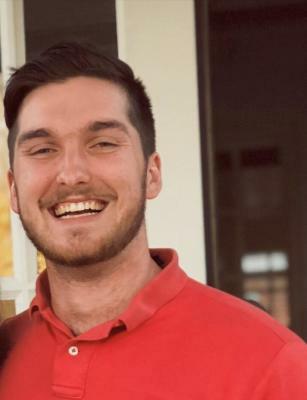 As an AmeriCorps Project Conserve member, Garret is serving as the Watershed Outreach and Education Coordinator for Mills River Partnership. He is very excited to begin his journey in North Carolina gaining environmental skills and experience and anticipates the abundance of knowledge he will gain within the Mills River Watershed.